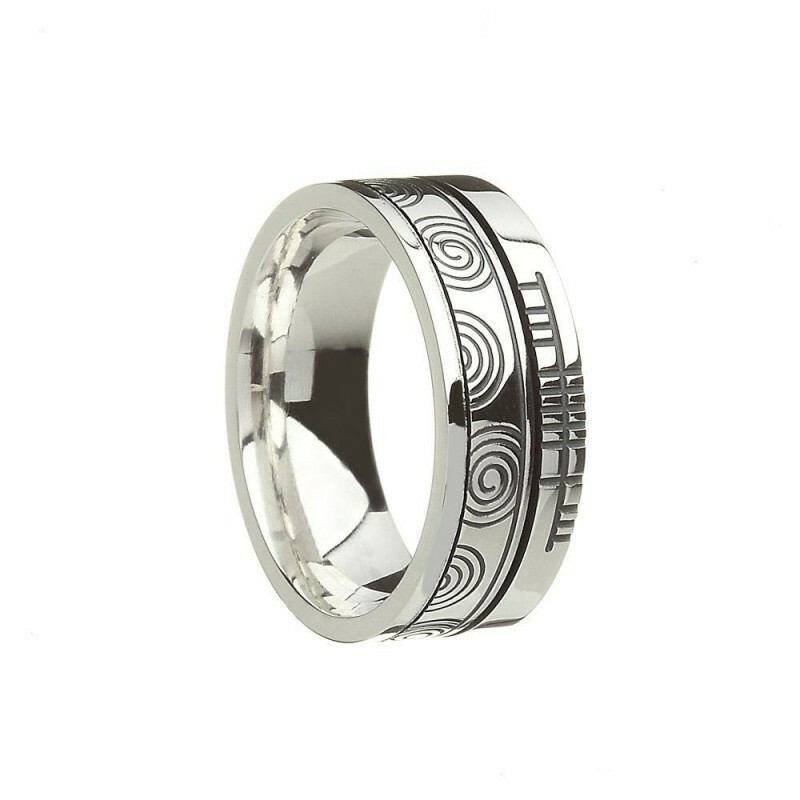 The Newgrange version of our Faith Irish wedding band is a high quality stunning Celtic ring inscribed with the ancient Ogham script, the Celtic Alphabet, with the word FAITH. An ideal Irish ring for wedding, commitment or even friendship. Each Irish ring is comfort fit, ensuring a smooth feel when on your finger. Over 5,000 years old, Newgrange is an ancient passage tomb that predates both the pyramids and Stonehenge. Newgrange is best known for the illumination of its passage and chamber by the winter solstice sun and is remarkable for its accuracy of time. Newgrange contains various examples of Megalithic Art including circles, spirals, arcs, chevrons and lozenges, radials and the renowned triskele-like features found on the entrance stone.